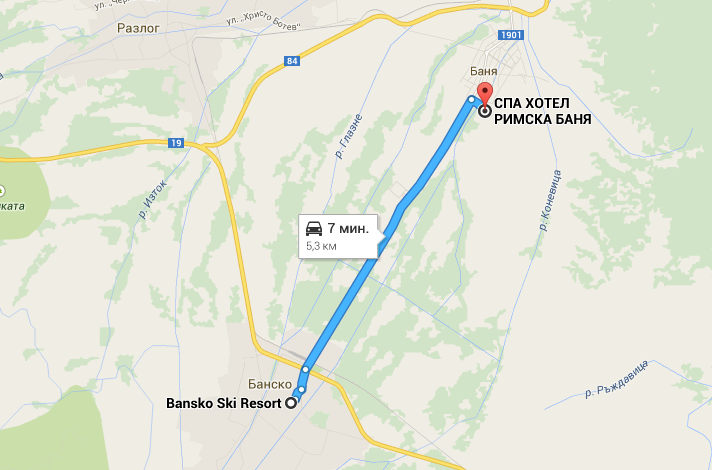 The most convenient ways to the Banya village are the ones from Bansko ski resort and Razlog. You can order a free transfer to our hotel and away from it from these towns. If you appreciate comfort, you can order a transfer from any Bulgarian airport (Sofia, Varna, Bourgas or Plovdiv) to the Thermal SPA Hotel Roman Bath. If you want to feel the life of the country from the inside, you can get to Bansko from the Sofia airport by public transport. 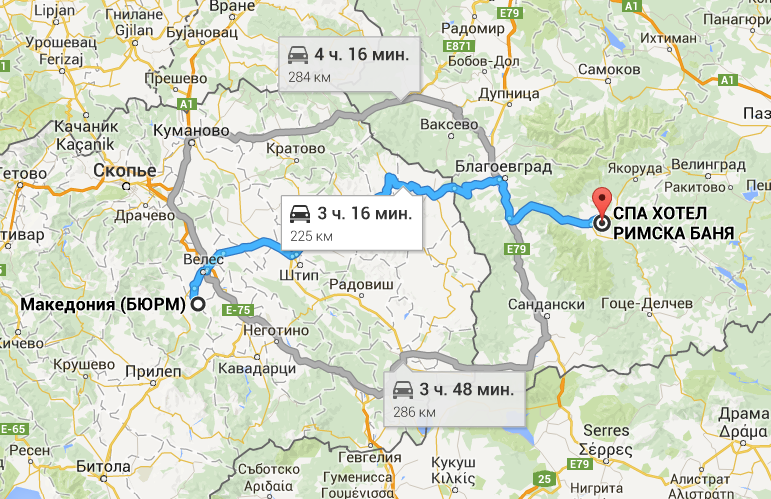 To do this, take a taxi to the bus station, and then take the bus to Bansko. There is also a railroad station in Bansko, but this kind of transport is not too comfortable for tourists. You can also reach Banya village by your own or rented car. Car rent service is very common in Bulgaria. The distance from Banya village to the capital of Bulgaria, Sofia, is 150 km; the distance to Plovdiv is 172 km and the distance to Bourgas is 406 km. Е-79 route goes from the capital of Bulgaria, Sofia, to the Banya village. In Simitli town you should turn from Е-79 down the 19 highway. 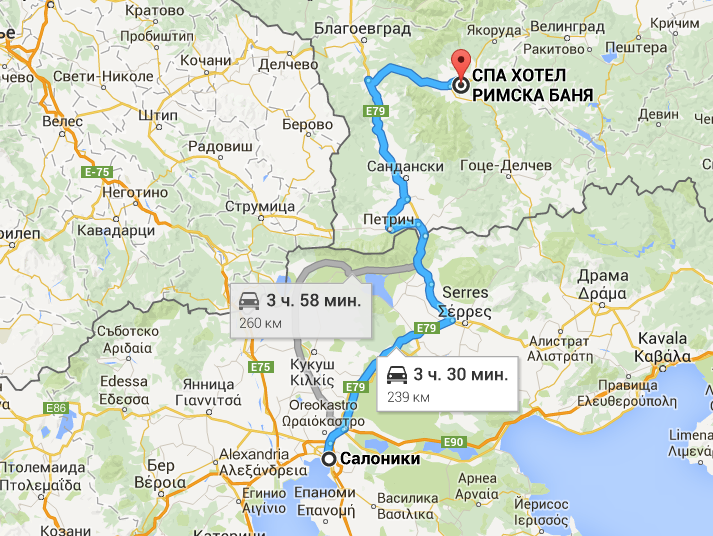 If you go to Banya from Plovdiv, follow the 8 highway and then also turn from it down the 19 highway. 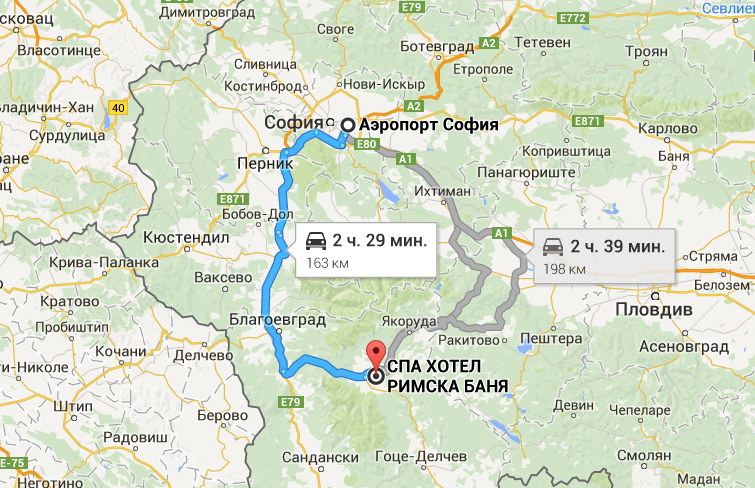 f you want to drive to the Banya village from the border with Macedonia, use this way: 106 highway – Е-79 route – 19 highway. Download all the photos from the web-site.